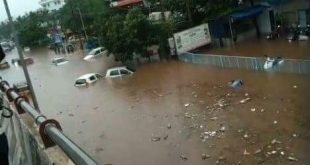 Bhubaneswar: The Bhubaneswar Municipal Corporation (BMC) has asked the National Highway Authority of India (NHAI) to take up urgent measures to sort out the water logging problem near ISKCON Temple at Nayapalli here. The NHAI has been asked to take up urgent short-term measures and long-term measures for the future. 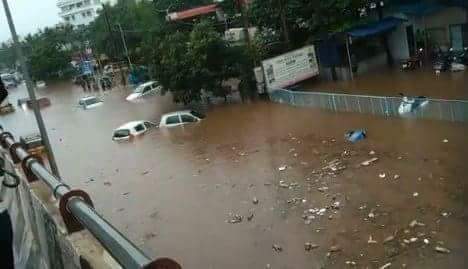 It can be mentioned here that due to lack of proper outlet of the rainwater coming from the entire catchment of Nayapalli area, the NH near ISKCON Temple remains submerged during heavy rains. 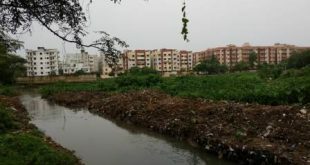 The civic and development authorities have asked the NHAI authority to take up cleaning and de-silting measures of the adjoining drains near the NH-16 and also put pumps on standby mode and deploy them immediately, in case of heavy rains. 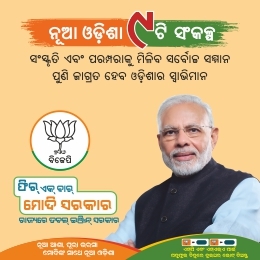 The NHAI authorities were also directed to devise a long-term solution as the flyover dividing the entire area has come up like a great barrier making the water flow minimal from one side to the other. 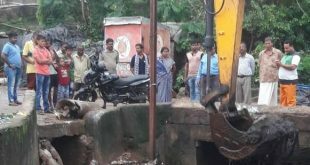 It has become a necessity to have a proper and robust drainage system to drain out the extra water from the catchment of Nayapalli and nearby localities, from the water logging zone, so that in case of heavy rains water starts flowing instead of accumulating there.